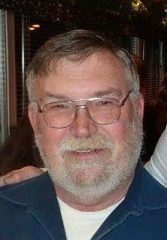 Larry Lee Eubank, 67 of Grabill passed away on Wednesday January 23, 2019. He was born on March 28,1951 in Leo Indiana. Larry was a 1969 graduate of Leo High School. He enjoyed camping and spending time with his family along with his many hobbies. He served in the US Army and is a member of the American Legion Post 409. He retired from Sauder Feeds after more than 41 years of service. Surviving are his wife of 48 years Linda, children Tom Eubank (Shawna) of Gilbert, Az; Jenny Gordon (Ben) of Spencerville; 4 grandchildren Matt White (Alyssa) of Harlan; Lilly Gordon (Devon) of Fort Wayne; Kyle and Kade Eubank of Gilbert AZ; 3 great grandchildren Dom, Izzy, and Lucas and 1 sibling Kim Eubank, Fort Wayne. He was preceded in death by both his parents Donald Eubank and Sally Eichorn along with 2 brothers and 1 sister. Visitation will be from 1-3 PM on Saturday, January 26, 2019 with a Memorial service and Military Honors at 3PM at the Leo American Legion Post #409 located at 14133 Leo Rd, Leo, IN 46765.